For those who had laid a sacrifice of freedom more than a century ago, this past weekend offered a commemoration of the horrors our forefathers experienced so that we might have the opportunity to exist in an era of peace. 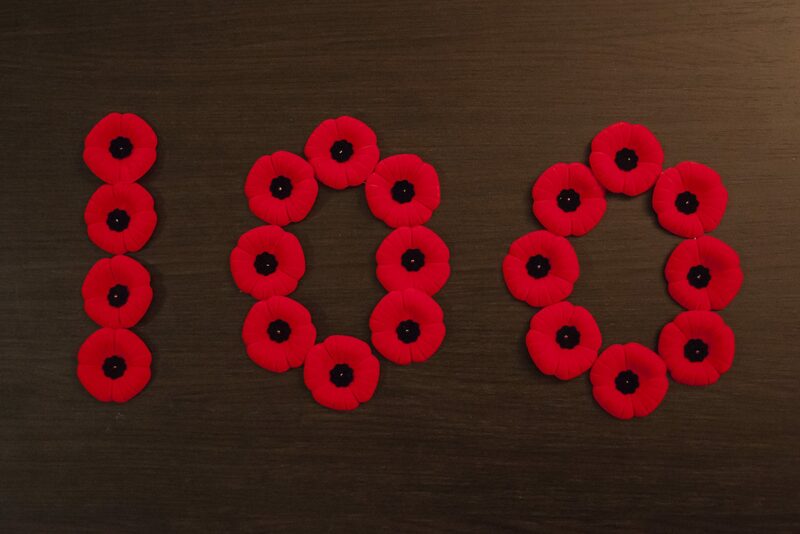 This passing Remembrance Day, also known as “Armistice Day,” held on the eleventh hour, of the eleventh day, of the eleventh month, marks the centenary — 100 years — since the official end to the brutalities and losses of the First World War. Though sources vary in the tolls Canadians faced — upwards of 45,000 and as high as 74,000, with between 120,000 and 150,000 left alive to deal with their various wounds, both physical and psychological — the observance of this solemn day allows for us as a nation to grieve such a loss, whilst remembering what it is we fought for all those years ago — and continue to fight for today. As such, a number of ceremonies across the Waterloo region paid homage to the soldiers of a war who have since passed. There were a number of ceremonies and a parade held throughout the city, as well as a fly-over of the Waterloo Cenotaph by the “Waterloo Warbirds” and a “Bells of Peace” ceremony at 5 p.m., which included the ringing of 100 bells to mark its anniversary. With the last remaining Canadian veteran having died in 2010, over eight years ago and the last remaining veteran, the United Kingdom’s Florence Green in 2012, history distances itself even more from the events of a time that used to exist in living memory. “After the battle of Amiens, the Second Battle of the Somme, Canal du Nord and Mons — to name just a few of the key battles of Canada’s 100 days — Canada’s veterans would return home to a country that was very different than when they had left,” said Kandace Bogaert, assistant professor and Cleghorn Fellow in War and Society at Laurier, in her speech at the ceremony. “For me, personally and as a researcher, it’s important to remember, for one, simply because of the staggering contribution of Canada’s soldiers and nursing sisters during the First World War,” Bogaert said. Because of events like those held by the HSA, members of the newest generation are able to exist outside of those who have had to participate in or live through a war, are especially important — as are the messages they feel are important to keep in one’s mind during this time. “Four years, three months and two weeks — over 1500 days — of death and destruction had come to an end. At long last, it seemed that the world, undeniably exhausted, might finally catch its breath. Tragically, the world was breathless. Nations lay in ruins, tens of millions of people from around the globe, civilian and soldier alike, lay dead. Baer went on, discussing how those same mistakes would, unfortunately, be repeated in the years to come, manifesting itself in the built-up anger, fear, blame and resentment that would lead to the equally catastrophic Second World War. He continued, discussing the passing of torches delivered to the next generations — the renewed hopes of a scarred world. “The world is not always what we might wish it to be. It has seen great evil and great tragedy in the century since Nov. 11, 1918. But this should not discredit what good, however small, has been done in spite of the challenges we have faced — and should most certainly not discount what potential we have, each and every single one of us, to learn from what has come before, good or bad and to go forward, to work towards something better,” Baer continued.“It is truly tragic that such a loss of life should serve as the foundation on which we must build, which makes it all the more important that we make the most of the chances we are given, to do what they could not,” he concluded. For Bogaert, the significance of the day echoes many of the words and sentiments of the HSA’s president, as well as her own speech. “Remembrance Day, to me, is taking those two minutes of silence to remember the sacrifice of Canada’s veterans in the conflicts of the twentieth and twenty-first century,” she concluded.